by Susan Winer, Chief Operating Officer, Strategic Philanthropy, Ltd.
For non-profit organizations and institutions, these questions are not challenges to what they are doing; rather they pose an opportunity to create stronger partnerships with donors in new and more transparent ways. A partnership—or collaboration—between donors and organizations must have at its core commonalities of interest and purpose. The best time to create a partnership is when you are considering a financial investment in an organization or institution. There needs to be transparency to eliminate misunderstandings at all points in the relationship. Transparency requires trust; trust that the non-profit will be forthcoming with all aspects of their work (even those they are struggling with), and trust that the donor will be reliable and not change their priorities mid-course. There has to be respect, and this is especially important when a partnership has the potential for an unequal power dynamic. A successful and respectful relationship comes from what you already know about the knowledge, experience and wisdom that the non-profit institution has developed. You have identified this group precisely because of their reputation, skills, track record and effectiveness. Partnerships need to be realistic as well. Donors who understand the essentials of the day-to-day operations of non-profit institutions are more likely to have realistic expectations, and earn respect from the grantee for being mindful of their practice. What attracts me to this organization? 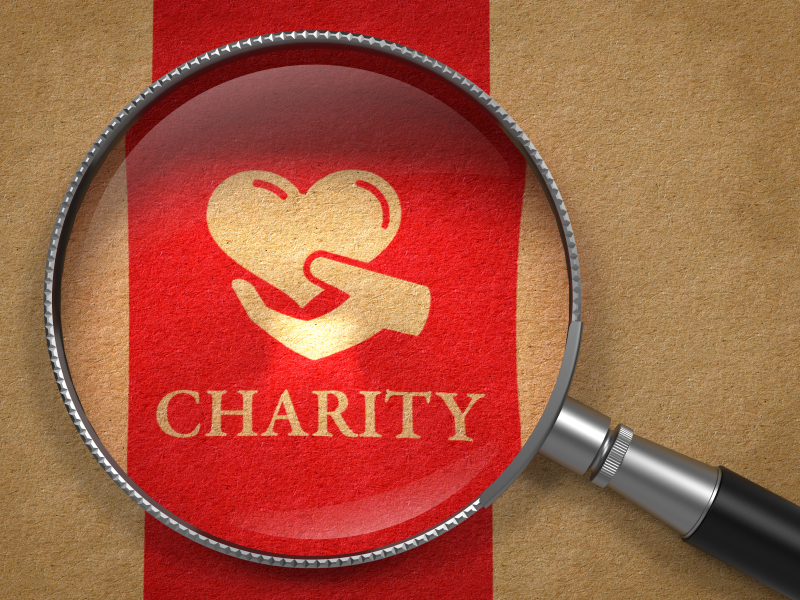 What do I want to achieve with my charitable gift(s)? What kind of gift do I want to make? Is it for a particular initiative? For capacity building? How do you want to be communicated with by the organization and how often? How long am I willing to wait to see some results, to see an impact on the cause or issue that you are most concerned about? Am I willing to commit to a long-term and/or multi-year relationship? Why am I making this gift? What do I want or need? Recognition? Publicity? Legacy? What are the motivations? What the organizations goals and plans are and how the proposed gift would support their work to that end? Does the organization have the capacity to achieve the results, make the impact you want, or are you asking too much of them? Is there a strategic plan and a development plan and how often is it reviewed and by whom? Does the organization have a theory of change and a timeline for progress toward that goal? What constitutes impact for the organization and how is this measured? Not everything can be “solved” or eradicated. What are the benchmarks for measuring impact, or tracking results. How long will it take to see measurable change or results once there are sufficient funds to address the needs, whether it’s building a wing for a museum, creating a chair for a department at a university or reducing hunger or homelessness in certain populations? A shared understanding of expectations is needed; what is possible to accomplish and what situations or trigger events could affect the ability of an organization to respond to the intent of the donor is essential for a successful partnership. This is particularly true in legacy gifts where the donor is no longer actively involved in monitoring the organization’s activities relative to the financial gift. The fewer unanswered questions between a donor and a recipient organization the more successful the partnership and the greater the chance that there will be for real and measurable results or impact. Strategic Philanthropy, Ltd., a global philanthropic advisory firm headquartered in Chicago. The firm helps individuals, families and closely held businesses plan, assess, and manage their charitable giving, ensuring that their philanthropic dollars are effectively spent and generate meaningful outcomes. www.stratphilanthropy.com Strategic Philanthropy, Ltd. is part of AEF’s Philanthropic Advisory Firm Referral Program.